Stack Christmas cards. Email gift lists. Take kids to the downtown parade. Wear the red dress. Bake cookies. Sing carols. Fill a shoebox for kids overseas. Find another babysitter for holiday party 58. Glue DIY teacher gifts till midnight. Watch the nightly festive movie on TV. Sip cocoa. Snuggle by the fire. Hang lights. Trim the tree. Phew! Are you ready for the rush to Christmas? Then a question from a sweet little one over Thanksgiving stopped me right in my tracks. “Mimi, why do we decorate a tree?” As usual, the answer was good for me to think about, too, because it’s not just to celebrate Christmas, I realized. We decorate, sing, and give to help us remember: to point us to Christmas … to Christ. Sometimes I get to Christmas — any holiday, really — and I realize that I’ve fully invested myself in making memories with my family, teaching them the lessons to be gleaned from the holiday, and creating a prepared place for my friends and family to thrive with sweet times together. But inside, I feel hollow, somehow like the holiday has run past me. Or over me. The way our world currently celebrates the Christmas season doesn’t exactly foster time to meditate on the real miracle of “God with us.” It’s far easier to be focused on loving everyone well— the pitch-perfect gifts; the awe-filled memories; the scented, warm atmosphere; the sentimental foods and story times — and completely miss the beauty of focusing on the One Thing that is important. So I decided to carve out some time last weekend to start the season truly prepared. I want to start Christmas in my heart before everything else snowballs. I am rereading the account of Mary, the woman of the Christmas story. It amazes me that every year, her story still unwraps truth for me. 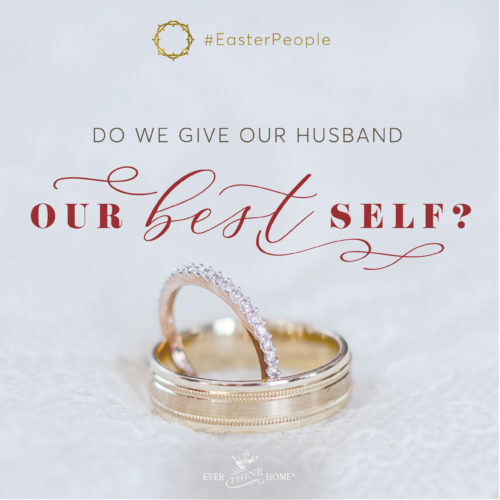 After all, even Mary, with an out-of-wedlock pregnancy before her, chose to focus her eyes on God — for His honor — rather than her circumstances. I’d like to follow Mary’s example. It’s most important for me to worship God for what He did in this season. Like Mary in her heart, she treasured the things she saw. As the woman who shapes our family’s Christmas story, I must set the tone in my home at Christmas that way—in worshipful remembrance and adoration of the King of kings who set aside His royalty in His heavenly home to become Emmanuel, God with us on plain ‘ol earth. Since nightly reminders won’t be accompanying the movies on ABC Family, I’m filling my tree with beautiful pieces that adorn my home well but also prepare my heart well. These radiant names of Jesus declare worship in the glinting firelight, sparking my soul to praise. I’ll also do a daily advent to countdown to Christmas, but it won’t be filled with chocolates or bells or paper chains. I’m going to read one verse each day that tells more of the identity of our wonderful Savior. If you’d like to join me, please comment below with your e-mail and we will send you a downloadable PDF. Stay tuned for more practical ideas that help you and your family worship in excited anticipation during this advent season. And please share with us, in the comments below, ways that your family is focused on adoring the Baby King this Christmas season. I know I am late but I would love the PDF with the verses! I’d like to request the PDF as well, please. Truly appreciate your thoughts and insights. Could you please send me the verses for advent? Thank you. Thank you for the Scriptures in advance and the words of encouragement! Yes, please send me the PDF. I have many of your books and ornaments and enjoy sharing them with family and friends. So happy to be able to make Christ the focus of our home and celebrations. Yes! Please send the pdf! Thank you! I just found your website and love it. Please send me your Advent scriptures. What an awesome idea. Merry Christmas! Please send PDF. I HAVE THE ADORNAMENTS AND THEY HAVE CERTAINLY ADDED SO MUCH TO OUR HOME AND HOLIDAY. Besides needing this for myself I would LOVE to be able to share this with the single women and moms at the Homeless Shelter where I work. Even without a lot of money we can still make some simple reminders with construction papers and glitter glue to hang on our little tree. What a beautiful way to elevate their hearts towards the REAL meaning of Christmas. Thank you! I would love to get the downloadable pdf – I am so impressed by your site. Thank you for all you do to help families remember the real reason for the season and always. Please send me the PDF of scripture! I am interested in the PDF! Please send the PDF of Bible verses. I plan to share it with family and friends, too! Thank you, please send the PDF. preparing our hearts during the advent season thank you! Yes! Please send the pdf! I’m having a hard time getting excited about Christmas this year. I want my family to focus on Christ instead of the gifts. I’d like usto make different memories this year. I would love to receive the PDF of the Bible verses, thank you! One way we focus on adoring the Baby King is by reading from The Advent Book a new page each night at dinner. It is straight scripture of the Christmas story with beautiful artwork, by Jack and Kathy Stockman. Besides helping us refocus each night, by the end of December, our children have come close to memorizing all the scripture because we start anew on page 1 each night and read up to what day it is of December each time. This year we have 2 trees which is a first- our regular sized one in our family room, and a shorter one in our entry way that we also cut down. The names of Jesus Adornments are decorating it. Thank you!! Thanks – I would love the pdf also. 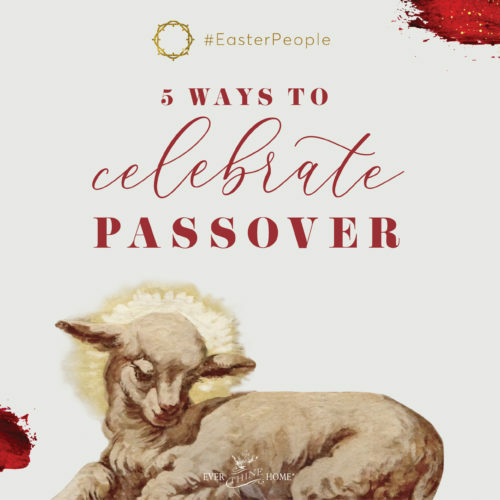 Interested in staying close to God’s heart during this most special time of the year! Advent bible verses, Please and Thank You! Merry Christmas! I would love to receive the pdf. Thank you! This will be a great help and reminder to me. Thanks for your words of wisdom! I’m looking forward to decorating our tree and using my new Adornments! Please send me the scriptures. I would enjoy reading the daily devotional. Thank you Barbara and staff, Merry Christmas! I do not want to buy more stuff for our family who do not need more stuff. My husband said we should buy what they have requested. It seems that our 4 grandchildren, 17-14-12-10, spend a lot of time on their electronics. They all have very full bedrooms and I wonder where can they put more! I would like to receive the Advent Verses – Thank you and May God Bless You! I’d love to join you each day in focusing on a verse that reveals Jesus” identity as our Savior. Thank you! Thank you for provoking us to love and good works, and to remember Christ! Please include me with your daily Advent readings.Thank you! I would like to receive the downloadable PDF of the verse of a day to focus on our Savior at Christmas. Thank you. Please share with me your advent devotionals. It is my heart’s desire to focus on my Savior at Christmas, and every day! I would live to receive your odd. I agree, we need to put our focus on our Lord and Savior! I LOVE your ideas! 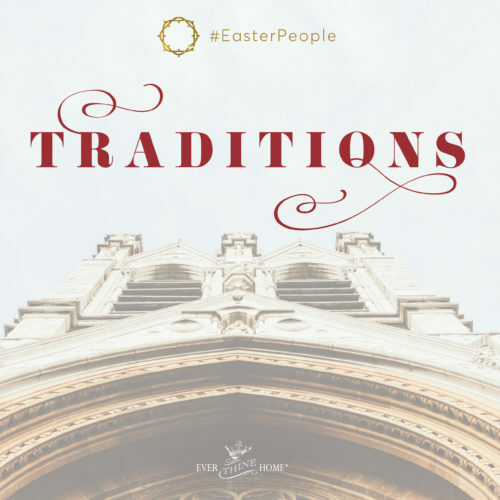 After so many years of trying to keep Christ the center of our celebrating and traditions, I too often find myself getting caught up in traditions and memory making. I would love to receive your daily advent verses. After listening to you describe Adorenaments for the last 3 Christmas seasons, I’ve finally ordered 5 – 4 set collections as Christmas gifts this year. This is what I’m doing to try to bring the focus back to Who we celebrate at Christmas. I’m giving an entire 4 set collection to each of my 3 daughters and their husbands and dividing the other 2 collections up among other family, friends and co-workers. I love what you’re doing at Family Life and Ever Thine Home and look forward to receiving the Advent PDF. God bless you all.